Mobile Tactical Assistant for Android. Start Timer with tones or voice announcments. Marks and Courses: Save marks for multiple venues. Save pre-defined courses. Import and Export for your organization in multiple formats (CSV, GPX, KML). 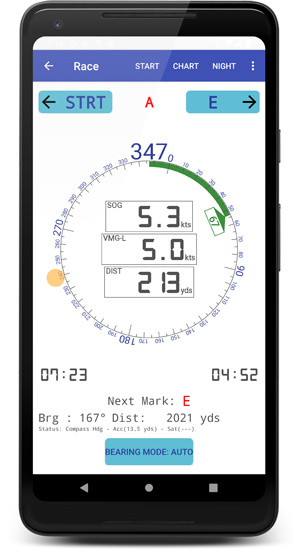 Key Racing data with speeds, bearings to marks, and VMG in easy to see heads up display. Charts: NOAA and UK Admiralty ENC Chart support with course and key data overlays INCLUDING CURRENTS!. Includes rounding indications. Tap buoys to set as marks. 'Decluttering' options to remove non-critical features. Hands Off: 'AutoRound' advances display to the next mark when you round. Switches from Start Mode to Race Mode automatically. 'AutoZoom' Keeps chart focused on your current leg. 'AutoFinish' stops the race clock and logs your race. No need to touch the app after the start clock begins. 'Virtual Marks' - Augmented Reality: Camera view with marks overlayed. Find the mark at night or poor visibality. Night Mode: Retain you night vision. Switches to alternate colors. Free trial version available on Google Play. 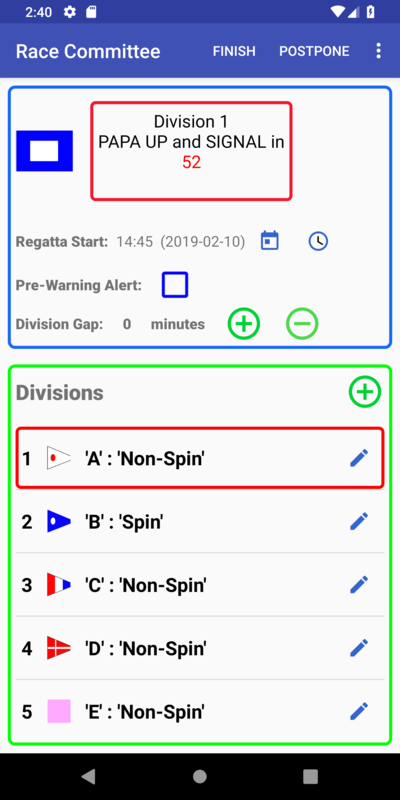 Mobile Race Assistant for the Regatta Committee. Start Sequencer: Full Rule 26 start sequence. Voice - Announces major events and does countdowns! Keeps your hands and eyes free for signals and flag changes. Tones - Sounds tones for major events and countdowns. None - As with the previous versions. Multiple Divisions, or 'Quick Race' (Division setup not required). 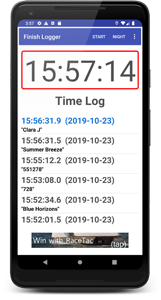 Finish Time Logger: Helps prevent transcription errors! Just Tap to log boats as they finish. With 10th of a second resolution. Saves time log for later review. Email function to send the log to the committee in CSV format.